The Tornado Jazz Ensemble and the Tornado Big Band performed a Big Band Dance in the SeniorHigh School Auditorium on March 23. There was a wonderful crowd and the bands had the opportunity to play for students, parents, and many community members. 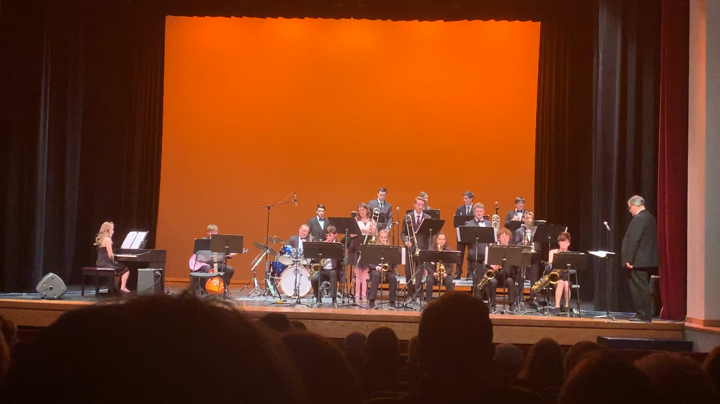 The Tornado Jazz Ensemble and the Tornado Big Band took the stage at the Succop Theater on the BC3 campus for their Jazz Spring Concert performance on March 24. It was a great afternoon with a full house in attendance.